Established on Sept. 5th 2011, RAM is a diverse, yet seemingly random, request site built to provide people with almost anything they should need in their neo life. With graphic, font, review and even avatar lend requests offered here, we hope you'll stay and take a look around. Maybe you'll find something that pipes your interest during your visit. To get started, simply browse the navigation to see what you can request. Don't forget to check the side bar status to see if requests are open first! Also feel free to check out the DigiPortal to view my other sites, some of which contain premade graphics, news, rankings and more! Please be aware that RAM does NOT do buttons, layouts or animations. Requests are still closed but some did some basic site maintenance and added more to the extras page. After exams I will try to put up a review portfolio and make a small coding retrieval guide. Closing requests for exams. People on the waiting list I'll get your requests done by the end of the week. Requests will be opened again on the 28th. Added a form explanation underneath the graphic forms (read rules to find). Please read if you're having problems with filling out the forms. Received a few requests but not many people have read the rules. A heads up. If you read the rules you will be taken to the forms. RAM is now an all in one request site. Premades and many of the extras have been moved off site and made into whole new sites because all the extra coding was driving me crazy. Check them out in the DigiPortal. Any and all feedback is welcome! I will send you a mail once I've completed your request. If you've requested multiple things I will send the notification once all requests have been completed. Linking back is appreciated but not required. I have, however, included link backs in the textarea codes that you may use when picking up your request. Old requests will be deleted every few weeks. No fonts for pickup at this time. I will mail you with the direct link to your review once it is completed. Reviews will be sent to an archive (under construction) when there are more than three reviews in the pickup area at a time. No reviews for pickup at this time. Graphic requests include banners, icons and shields. I do NOT do buttons, layouts or animations. I take requests on any subject; for any reason. Yes, I can do off site forum signatures, tags etc. Default banner size: 500px by 200px. Default icon size: 100px by 100px. Read the rules to be taken to the forms. Do not claim my work as your own. You don't have to give me credit, just don't say you made them. Please title your requests appropriately. An appropriate subject for your neomail, when requesting, is located in the first line of every request form. Use it! Only request when the requests are open. Check the side bar for the most up to date status. Go back to the rules? You don't always have to fill in the form, a detailed description of what you want is fine as long as you follow the rules (appropriate mail title, font recommendation(s) etc). If a section does not apply or you'd like me to choose, put NA or leave it blank. If you specifically don't want to have something (eg: no text), put None. If providing a specific image, a URL of the exact image would be most helpful. Telling me to "search this thing and choose the image with the blue sky on the fourth row" for example, doesn't necessarily narrow down my choices. If providing a specific size, I'm looking for a size in pixels NOT "small", "medium" or "large". If you would like me to use the default size (500X200px) simply leave the section blank. RAM font/siggie requests are only text and symbols. I do NOT do neoboard pen fonts or picture fonts. Font types are chosen by me. You may choose to customize your own font colors, faces and/or sizes or leave it entirely up to me. A form explanation is waiting for you inside. Keep in mind that there is a maximum character limit of 240 characters. This includes not only what you want to say but also the coding for colors, sizes and faces. The longer your headers, the less options we get for adjusting the rest of the coding. I take requests on any subject; for any reason. Click on the pixel in the top left corner to proceed. I can make you fonts for side accounts, friends etc. A top header should generally be used for symbols rather than text as some people find them annoying to read otherwise (I know I do). Below are some form options you can choose from if you'd like or you can let me decide them for you. I use avatars to decide what color palette to use in making the fonts. You do not necessarily have to own the avatar to use the font. Alternatively, you may also provide general color themes such as "blues" or "reds" or even the hexadecimal codes for certain colors. If you'd like to specify what color palette to use, you can search through the links below. If you want to choose your own symbols you can search through the links below. Keep in mind that Wingdings and Webdings do not work for users who use Firefox. It may be easier to use symbols from the Character Map/Palette in your System Tools (see first link). Below is a list of font faces you can choose from as they are generally installed in all computers. If you can see the fonts below then you have them installed. Web/Wingdings do not work for Firefox users. There are four font sizes. 1,2,3,4 with 1 being the smallest and 4 being the largest. Pretty simple. If you want certain words larger than others, state so in your form. Here I offer opinion reviews, link sweeps and/or spelling checks for all petpages. This includes sites, pet applications, guild webbies, writing and art pages etc. Reviews are all point form and not scored. I want to provide opinions to help people improve their sites, not mark a test. All reviews are my opinion. I know what I want to see in a site and what I don't, but this may clash with others! Please be serious about receiving a review. Do not request if you have no intention of making changes around your site. It is fine if you do not agree with my review but tell me and I may be able to help you through neomail. Please do not make any major changes to your site after sending in a request. Only request when the requests are open. Check the side bar for the most up to date status. Click on the pixel in the top left corner to proceed. Each rubric may be adjusted slightly when taking into account your page/site type. As the reviews are not scored, this is simply a way of telling you what I will be looking for in your site. Introductions are usually the first thing someone sees when entering a site. It's also one of the first things they skip. Is your introduction long and rambling or simple and straightforward? I'll be going over your intro to see if it outlines the purpose of your site, introduces yourself and remains a level of professionalism. Is your site's layout stylish and functional? An attractive, easy to use layout helps keep people looking at your site but no one likes a site that's hard to navigate. So, I'll be looking at if your site manages to have a nice layout without scattering it's content everywhere. Here I go over the content of your site. I'll look over rules, explanations and/or stories for spelling, grammar, professionalism and understandability. I will also critique the overall quality of whatever your site has to offer. For quality, I may pull out specific examples of things that interested me and things that I feel should be improved. 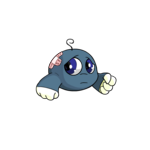 A full sitely section normally has link back buttons, active sibling sites, active affiliates, past reviews, credits and maybe even past achievements. I'll be looking at all that in this part of the review. I will also be going through links and checking textbox codes to make sure you have the right image codes and links in them. Overall comments about your site will go here as well as a summary of your review and key things to note. This review is a list of suggestions and possible improvements to your site. I may pull out specific examples or critique the site as a whole. A customary link sweep and a simple spelling/grammar check will be included. Positive, overall comments about your site will go here as well as a summary of your review and key issues. For this review, I will go through your site, section by section, page by page, and find broken links, images and grammar. I will note links to sites that have moved, are closed or are on hiatus in directory listings, sitely sections etc. This review will normally be structured according to your current layout. I will check basic spelling, capitalization, spacing and grammar for everything you've written. If a sentence irks me, I will make note of it and provide an alternate way to portray your message. I will not go too in depth on grammar unless requested. I will tell you what works and what doesn't but I won't be teaching you how to properly use things like a colon or berate you about parallel structure etc. All personal comments (ie: site updates) will not be editted unless requested. Other things I look for: Chat speak, tone of voice, if you have a neomail link to a blank neomail, if link back buttons link to the wrong place. If you would like me to disregard something above please let me know! The fastest and easiest "review" I offer is a private question and answer consultation. Just mail me a list of questions (or even one question) that you would like answered. I will try to answer your questions to the best of my abilities and we will swap messages back and forth until you are satisfied. This consultation will be mostly be done through neomail unless the list of questions is very long in which case I will put my answers on a private petpage. Questions may be very general or specific. Possible questions include "What do you think or my site?" "Is my content OK?" or "How's my latest icon?" You may ask one question at a time or multiple questions at once it's entirely up to you! This is a pet lending agency only, which means I do not lend items or np. This page is affiliated with the guilds Project: Clean Up Neopia. and Scarlet Memories. Please read the rules and requirements at the bottom before requesting a lend. 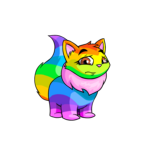 I have these pets/petpets but they are unfortunately not available for lend this month. Mouse over the avatars to see when they are next available. Do you have any of the pets below? 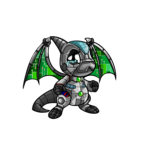 If so, check out my Pets UFT. If you see something you like send me a neomail and I'd be happy to trade with you! To qualify for a lend, your account must be 4 months of age and have available in and out transfers for the date you specify in your form. Neomail me after you've received the pet and before returning it to the account it came from. Never pound, trade, zap or morph the pets received. Never unattach petpets or petpetpets. Never leave the pets as your active. Only request when the requests are open. Check the side bar for the most up to date status. Click the pixel in the top left corner of this page to proceed to the request form and the lending process. Remove the brackets in the form before sending it in. The process is NOT a lending chain. I or a friend will send the pet to you and you are expected to send it right back through a one on one pet transfer. 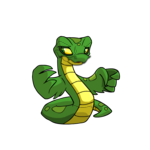 Please check the available pets this month to make sure we have your expected pet for lend! The lending process is meant to be quick and simple. When you send in the form I will mail you back acknowledging that I have received it. This should never be more than 3 days. If I do not reply back by 3 days, send the form again with a new expected lend date. Once I have replied, I or a friend will send the pet on the day you requested, to the account you requested. As the lend day is by your decision, we will expect no problems. Please mail me if you suddenly can not make the expected date and we will reschedule. Once you have accepted the pet, mail me a notification and inform me of when we can expect the pet back to the original owner. We do expect pets back by the end of the month so that they may be available for lend again next month. Small, simple requests that I also offer. For now these kinds of requests include habitarium gifting and coding retrieval. What used to be many of RAMs extras have now been turned into mini sites so that I can focus on different things at a time without feeling swamped. Enter the DigiPortal and you will find a list of sites featuring premades, site names, rankings, content submissions and much more! My graphics/art portfolio. Unlike other portfolios, not all requests are featured here as I don't often save them all and it is updated sporadically so the newest requests may not yet be available. Please also note that even though my portfolio might showcase certain types of art/graphics it doesn't mean that I offer them here at RAM. A small page of me and my friend's pets UFT/A. 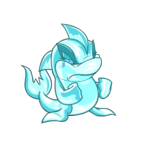 We are currently looking for a coconut jubjub, n island quiggle or a halloween ruki but we will look at all offers. A brief look at RAM's history and more about it's development over time that hopefully answers some Frequently Asked Questions. On top of the main things offered at RAM I can also provide a few small, simple things for other neopians to use and benefit from. Note that these requests are always open unless RAM itself is on hiatus/vacation. As I am constantly swamped in habi resources you may be able to find my habi gifting board here No board currently available . If there is no board available and you are seeing this for the first time then the process is simple. Send me a friend invite. Wait until I accept your friend request. As soon as I accept your request I will send the item. Remove me from your friends list. As I often get gifting mails I will not mail you back when I have received your request/mail. 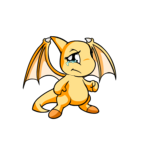 Neopets rules only allow one item per account per day. If you want more than one item simply send another mail the next day. I do not make reservations and I ask you send one mail at a time. Lost the coding for your petpage or userlookup? I may be able to retrieve it. Simply fill in the info form below and send it in. I can not guarantee that your coding will be retrieved. It will largely depend on how long you had your page up and how long ago you lost your coding. RAM started off as a small avatar lending page for my guild and eventually grew to include requests, premades and a whole bunch of other things to accommodate my ever changing interests. RAM officialy opened on Sept 5 2011 as an all in one site featuring avatar lending, buttons, shields, banners and icon requests and premades. Extras included tutorials, site names, habitarium gifting, rankings and Pets UFT. I wasn't good at buttons, animation (.gifs) weren't supported by my image hosting site and really, they weren't fun to make so I removed them after a while which is why you may see buttons in my portfolio but nothing offered here anymore. While I lost one interest, I gained another in reviews and I added link sweeps and eventually regular reviews to my site after a time. Then, in Dec 2011 I began dabbling in fonts making and I began taking font requests in Jan 2012. You may have seen other people with userlookups saying they were made or edited by me but I do not take layout requests. I never have and I probably never will as I cannot code HTML/CSS. The main reason I broke up RAM into different sites (see the The DigiPortal) was because all the extra coding I had to scroll through every time I updated the page was driving me crazy. The people you see with layouts by me are friends or guild members who asked that I edit a premade for them for personal use. I have no intention of redistributing someone else's work on my site. The only layout I can claim to own is this one and it took days of work, not something I want to do again any time soon. The following pets are UFT/A by either my friends or me. 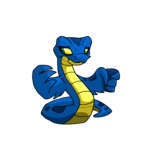 For UFT pets we are currently seeking the following avatar pets: coconut jubjub, island quiggle and halloween ruki for lend at RAM's avatar lending page but we will look at all offers. If you see anything you like feel free to neomail me. Hover for names. Click to view lookup. Hover for names. Click to view lookup. No application is required, simply send a neomail. All other images found through search engine.